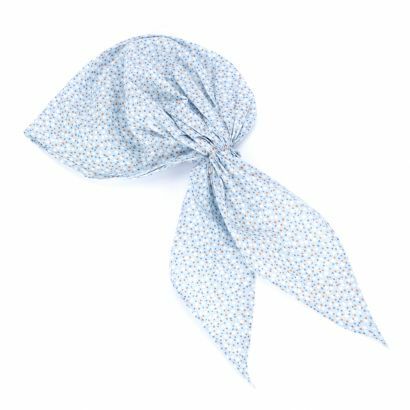 This practical and fashionable bandana scarf features comfortable elastic that accommodates many. Cotton material is easy and breezy for playground, beach and more. Select your favorite pattern that goes with your personal style! © 2011-2019 Peppercorn Kids. All rights reserved.